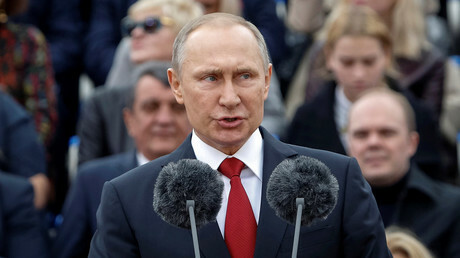 The general election is underway in Russia with 450 seats in the lower chamber of the parliament up for grabs. Russians are also casting ballots in dozens of regional and municipal elections in what is called Single Election Day on Sunday. Polling stations are open from 8:00am to 8:00pm local time in each region. 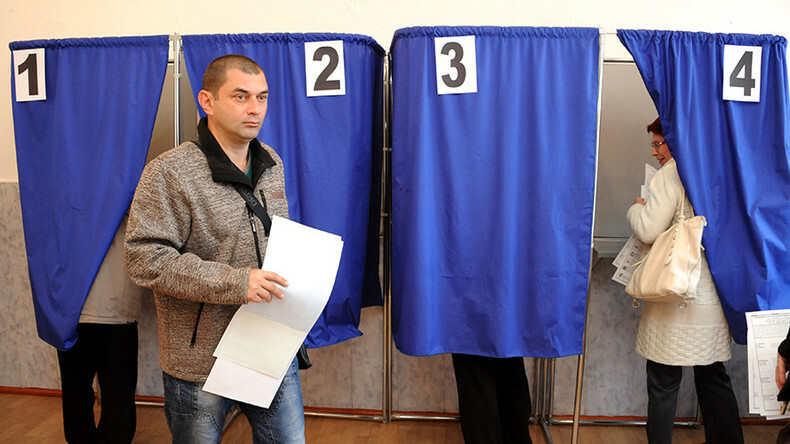 Nationwide voting takes about 22 hours, as there is a 10-hour lag time between the Far East regions and the westernmost territory of Kaliningrad Region. Over 370 stations in Russian embassies and consulates provide the opportunity to vote for Russian citizens in 145 other nations. Early results are expected after the polling stations close in Kaliningrad Region at 5:00pm GMT. By Monday morning, 99 percent of the ballots are expected to be counted, providing an accurate picture of how Russia’s next parliament will be composed. So far, reports from polling stations indicated a moderate average turnout of almost 40 percent as of 3:00pm GMT. Some irregularities were reported in several regions. In Moscow, several dozen people were detained for campaigning on the eve of Election Day, which is forbidden in Russia. In Altay Region, the police are investigating reported fraud involving people trying to cast multiple ballots at several polling stations. Voting in Ukraine’s capital Kiev was briefly disrupted by a group of violent people who tried to block the entrance to the Russian Embassy and clashed with police who were guarding it. A Ukrainian MP from the nationalist Svoboda Party was involved in the incident. The same group reportedly confronted a man who was on his way to vote at the embassy, and violently prevented him from doing so. One of the nationalists was detained for starting a fistfight with the Russian man. In Odessa, a group of nationalists clashed with police who tried to stop them from interfering with Russians on their way to vote in a consulate. Earlier, the Ukrainian government threatened to prevent Russians from going to diplomatic missions on Sunday to derail the vote as a protest against Crimea, a former Ukrainian region, taking part in the election. Ukrainian nationalists attacked the Russian Embassy in Kiev on Saturday morning, launching fireworks at the building. In Russia, each person over the age of 18 is eligible to vote, except prisoners and legally incapable persons. The total number of registered voters is 111.6 million, with about two million of them living abroad. It is the first time the mixed principle has been applied in elections to the lower house of the Russian parliament, the State Duma, since 2003. In 2007 and 2011, Russians elected MPs from federal party lists only. This time, half of the parliamentary seats will be occupied by deputies included on the federal candidate lists of parties which clear a 5-percent threshold, which was lowered from the 7-percent threshold in the two previous general elections. The other half will be taken up by candidates elected according to a first-past-the-post system in each of the 225 independent constituencies or districts that make up the Russian Federation. This year, 14 political parties are participating in State Duma elections. Four parties currently have representation in the parliament, but the new rules provide the opportunity for more parties to send their MPs after this Sunday. It is also the first time that parliamentary elections have taken place in the nationwide Single Election Day in September: Previously, voting has been held in December. In addition to Duma MPs, Russians are electing seven regional heads and MPs in 39 regional parliaments on Sunday. In total, over 5,300 election campaigns in Russia culminate today. In some regions, voting began ahead of schedule due to the fact that they are remote and isolated, and it takes time and effort for elections committees to arrive. The committees frequently have to access remote settlements, reindeer herdsmen camp-grounds, Arctic stations, border checkpoints, lighthouses, and scientific stations. They sometimes have to use motor boats, all-terrain vehicles and helicopters, even though there might only be a few people there. 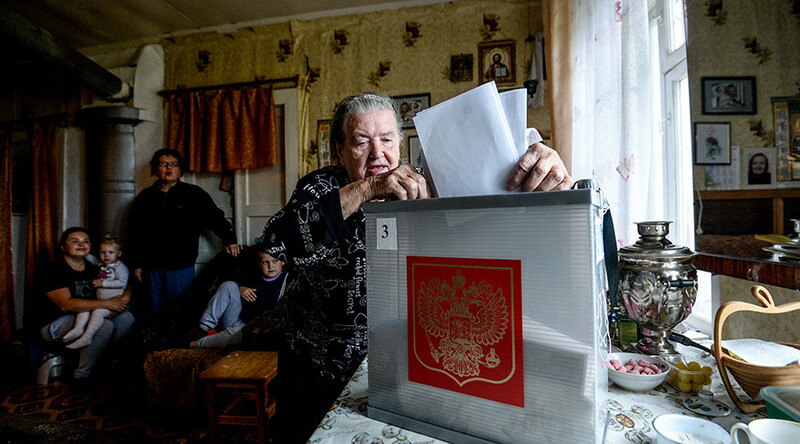 In total, between one and five percent of voters in Russia live in remote and isolated areas. In one of the Russian Far East regions, Chukotka Autonomous District, the cost of voting in remote areas could amount to 23 million rubles ($354,197) in transportation costs, Russian media reported. Special measures were also taken so elections could be successfully held in the Russian Far East region of Primorsky Krai, which borders China. It was hit by severe flooding not long before the elections and more than 20,000 people were affected by the disaster. Ballots were delivered to the settlements hit by the deluge by the Russian Emergency Ministry (EMERCOM) in special vehicles along with humanitarian aid.